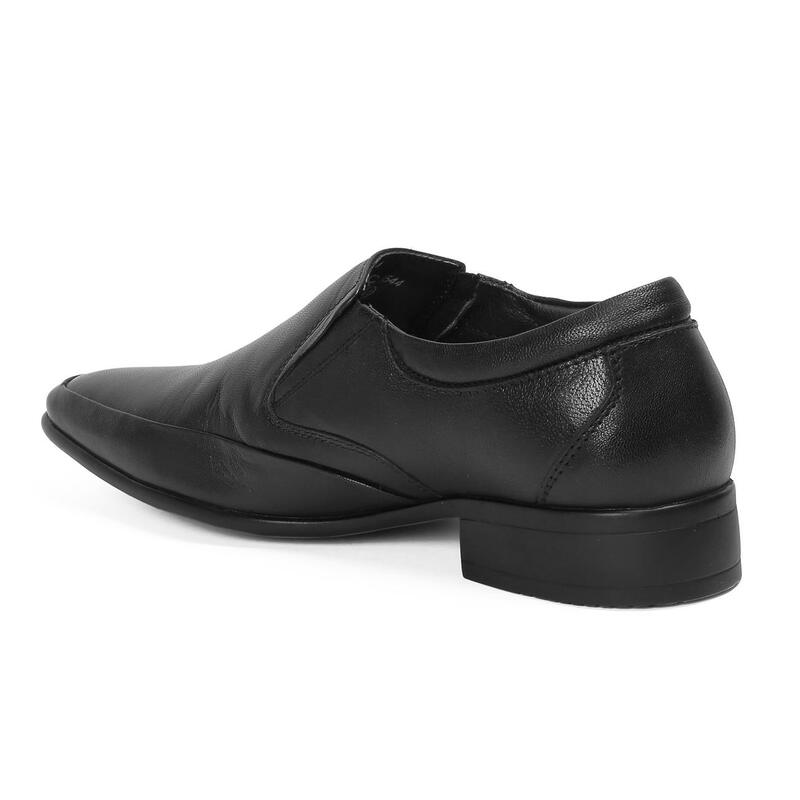 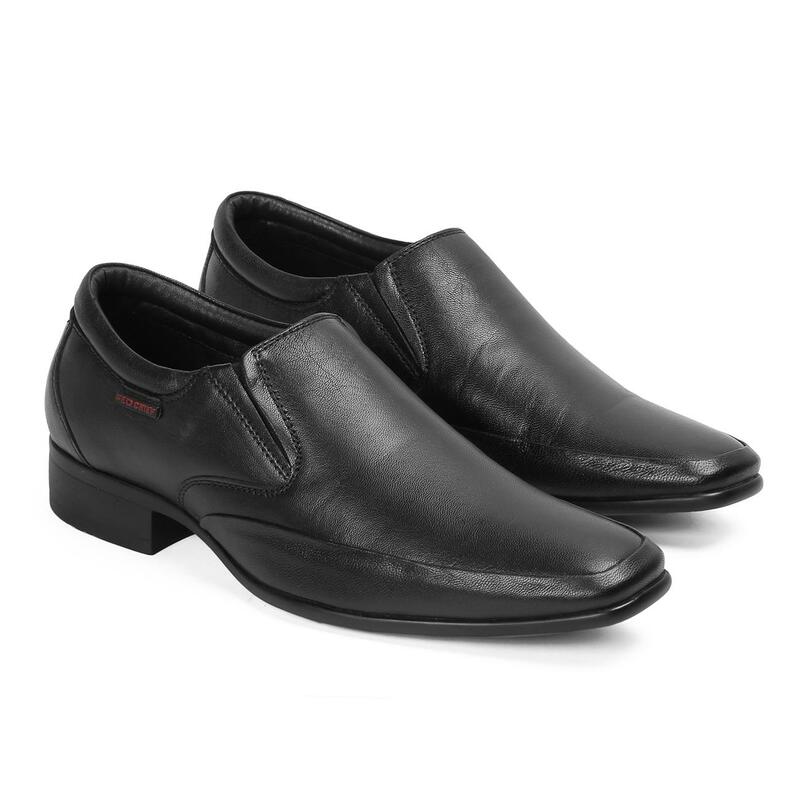 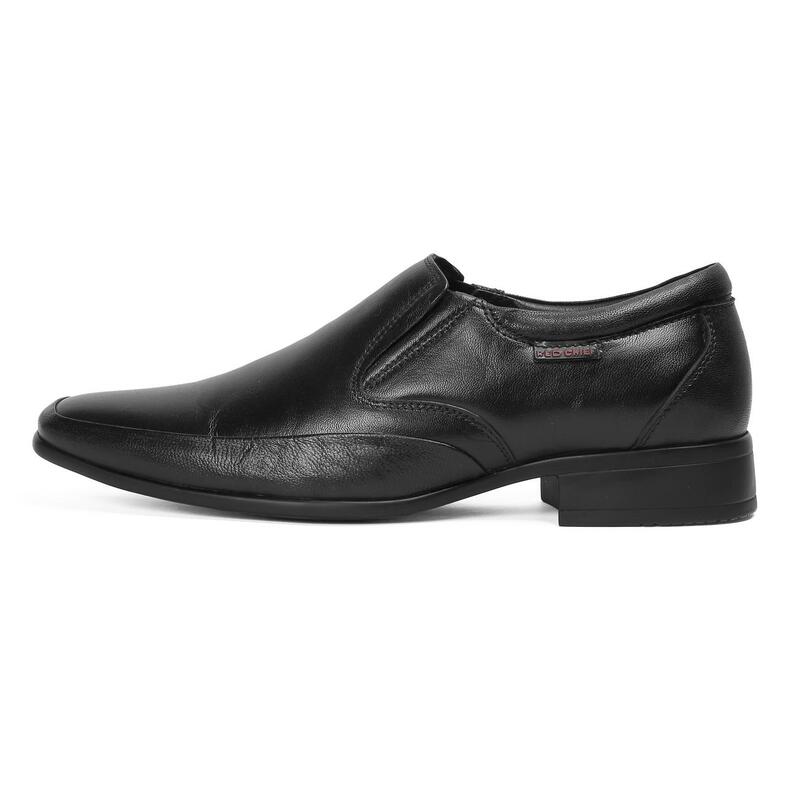 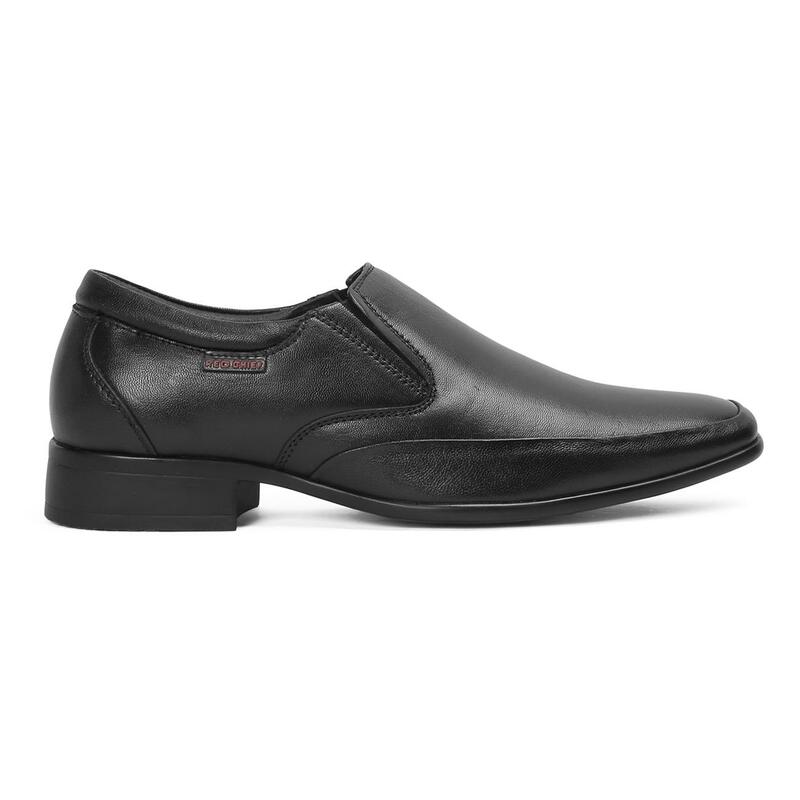 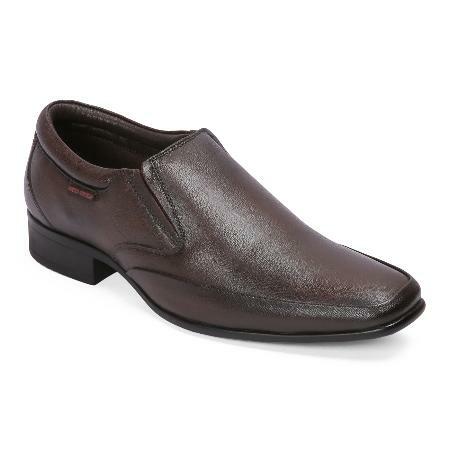 Flaunt a new casual look when wearing these black formal shoes from Red Chief. 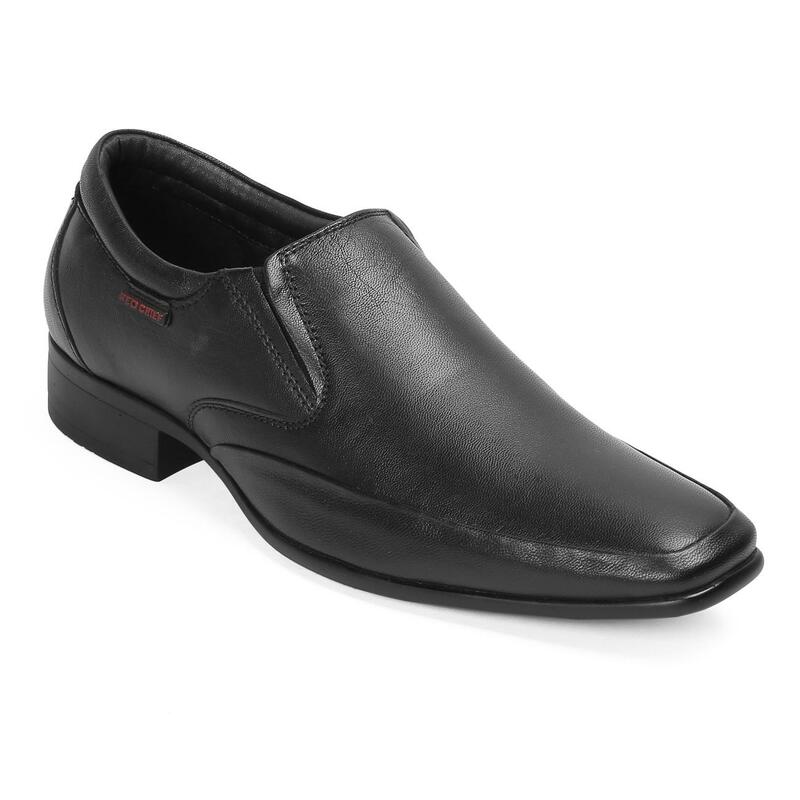 Showcasing basic design and an excellent finish, these slip-ons are a must-have in your footwear collection. 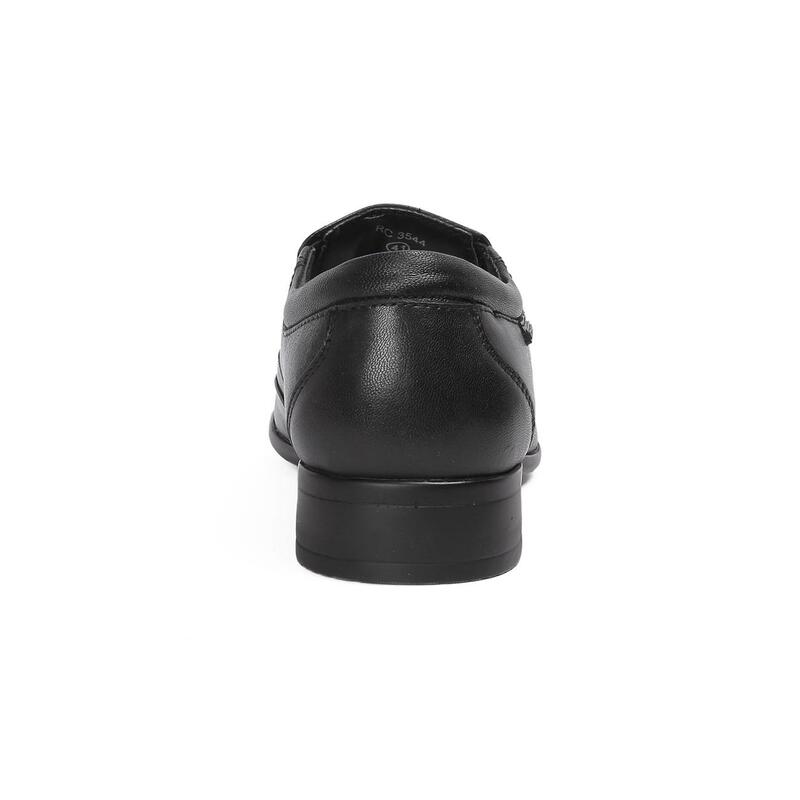 Featuring leather upper, these shoes are durable. 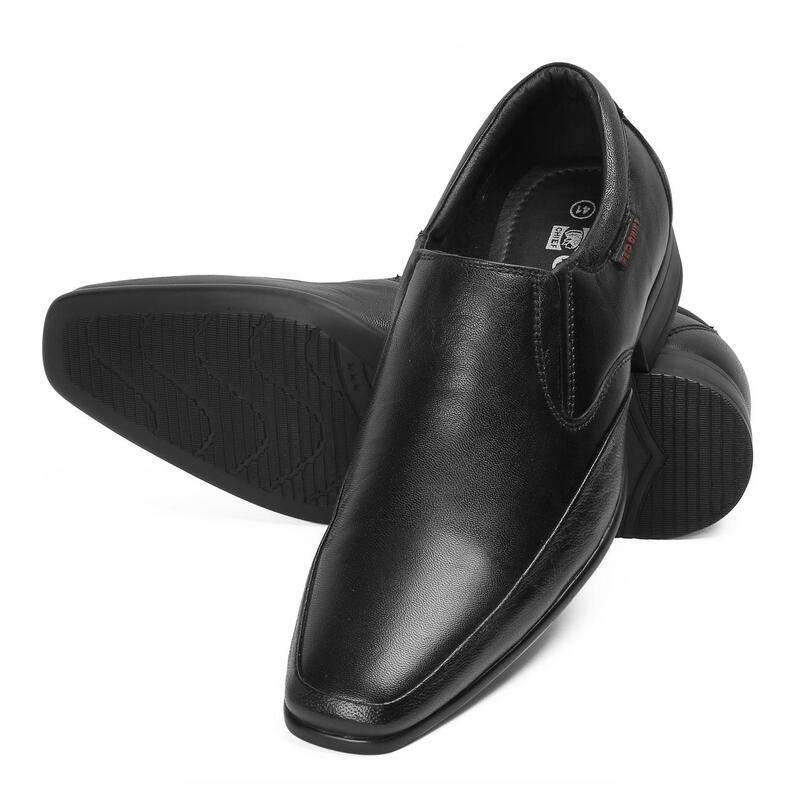 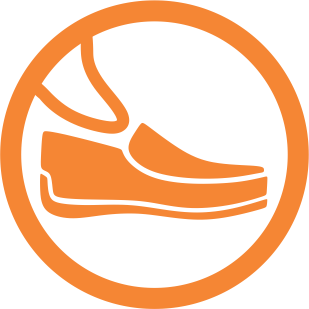 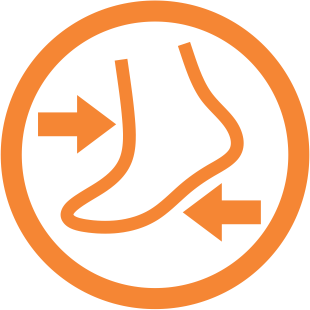 The PU (polyurethane) sole promises great slip resistance while walking.